Meijer Distribution of Grand Rapids, Mich., is recalling about 25,000 Falls Creek Kids infant and toddler hoodies. The firm has received one report of the zipper slider body and pull detaching from a hoodie. No injuries have been reported. 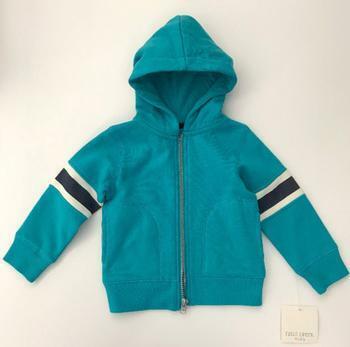 This recall involves Falls Creek Kids branded children’s zip up hoodies sold in five color styles in sizes 12M,18M, 24M, 2T,3T 4T and 5T. “Falls Creek Kids” and “Made in China” are printed on the inner collar. The tracking number is printed on a sewn-in label on the inner side seam. The hoodies, manufactured in China, were sold exclusively at Meijer stores nationwide from June 2018, through October 2018, for about $14. Consumers may contact Meijer at (800) 927-8699 anytime or online at www.Meijer.com and click on “Product Recalls” at the bottom of the page for more information.